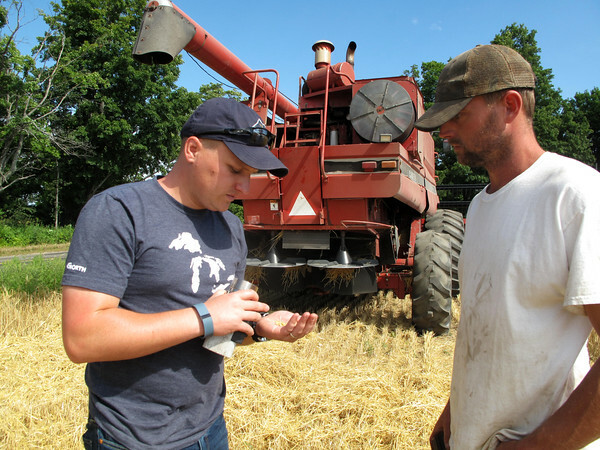 Jeff Malkiewicz, left, and Troy Jenkins walk through Jenkins' Kalkaska County barley field. Malkiewicz aims to open a malt house in Traverse City to make malt, a key ingredient in most beers. Jenkins is growing barley for Malkiewicz to malt.